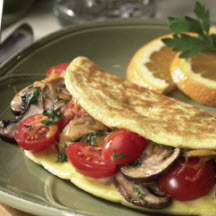 CooksRecipes has quality, kitchen-tested recipes for omelets that you can count on for successful deliciousness. 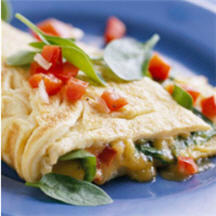 This deliciously satisfying omelet filled with spinach, cheese and a tasty red pepper relish, is a great entrée served anytime of the day. 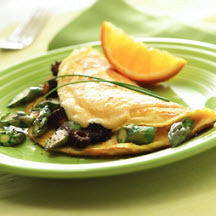 Recipe by Chef Govind Armstrong.